I reported a roof leak in August 2014 to the resident manager. I requested a moisture and mold test be done after the roof was replaced and the interior could be repaired. Only last month did they authorize a test, and we waited over two weeks for a result. We then found out he never asked that we test for mold because it would be too costly. Keep in mind this problem was over a year old with many emails from me pushing for action and repairs on the condo. I decided to order a mold test on my own, and suddenly the management company jumped in and offers to handle it. Well, we got a positive mold result and air samples were also positive. They have since removed my tenant and are addressing this toxic mold: Chaetomium. They have misrepresented the timeline and dates to somehow make it look and sound as if I were negligent. This is now in print on the report submitted by a certified lab and also in the board meeting minutes. Do I have a case to get an amount of compensation for both me and my tenant? There are many more details, but you get the idea. Obviously, there are always two sides to every story, but it looks like your recourse is going to be against your condominium board of directors, rather than the resident manager. Hopefully your board of directors has been keeping up the necessary liability insurance policies! Hawaii’s a small state, and there has not been a tremendous amount of mold litigation there. The general rule, though, is that if the roof is defined as a common area, the board is ultimately going to be responsible for repairs and improvements – as well as any mold problems arising directly from the roof repair or leaks. As it happens, your case seems to parallel a 2004 Hawaii case from Kaneohe, in which a woman named Grace Cloherty sued a condo association for failure to correct a mold problem over the course of several years. Her attorney, Edward Bybee, argued that the association’s failure to fix cracks in the slab beneath her unit and a faulty rain gutter system caused water to accumulate in front of her condo. Kaneohe is on the windward side of Oahu, which is very rainy. Cloherty was able to document that she had alerted the association to mold and rainwater problems in 2000 and 2001. She began to experience respiratory problems in 2000, had to throw away a lot of her personal property that had been contaminated with mold, and had to abandon the use of the downstairs part of her unit and live upstairs. The judge in the case ruled for the plaintiff, saying the condo association had a duty to repair the gutter system and the slab as common elements. Judge McKenna wrote that the association “wrongly failed and refused to perform and denied its duty to repair its common elements,” and awarded Cloherty damages amounting to $470,000. The judge also awarded Cloherty $2,000 per month to rent another place to live while the condo was decontaminated, as well as a $500 security deposit. Lastly, he ordered the association to pay $103,000 in attorney’s fees. So that’s the amount of money that is potentially at stake – and you could possibly be on the hook to your tenant for it, though in theory your landlord insurance policy will protect you while you go after compensation from the condo board for the liability that they caused. Associations also routinely take out liability insurance, however, and if they are found liable, they themselves will be responsible for suing the property manager if they believe they were at fault. Naturally, if the onsite manager was an employee of the association, rather than an independent firm with its own errors and omissions insurance coverage in place, this won’t work. Aside: This is one reason to hire a good outside property management firm to run a complex property! Not only do good property management companies bring a lot of important competencies to the property that board members themselves don’t necessarily have, they also bring in an outside insurance company to help shoulder the risk that something will go wrong. And as an added bonus, the fact that they are a separate entity helps protect owners against finding themselves in the absurd position of actually suing themselves to get reimbursed for damages! 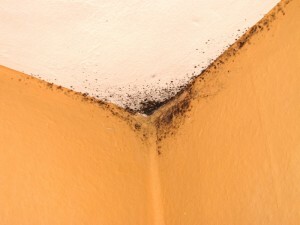 If your tenant is solely responsible for the mold because of his or her negligence, you would not be liable. But since that doesn’t seem to be the case, you have a duty as a landlord to keep the dwelling habitable, and the fact that your board or manager wasn’t much help to you doesn’t make that responsibility go away.